For most people who drink alcohol in moderation it is not harmful. Moderate alcohol use is up to two drinks per day for men and one for women and older people. ( A standard drink is one 12-ounce bottle or can of either been or wine cooler, one 5 ounce glass of wine, or 1.5 ounces of 80-proof distilled spirits). 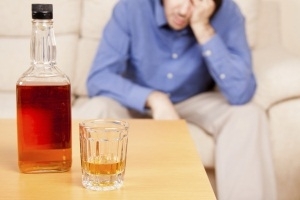 There are many things that you must ask yourself when trying to determine if someone has an alcohol addiction problem. Drinking problems can include behaviours such as the purpose of getting drunk, drinking alone, keeping it a secret, drinking to escape problems, getting irritated when you cannot obtain any alcohol and hiding alcohol in odd places. Other warning signs of alcohol abuse include having blackouts due to heavy drinking, losing interest in activities and getting annoyed when people warn you about drinking problems. It is important however to determine if the person is dependent on alcohol, these might include powerful urges to drink, having withdrawal symptoms such as nervousness, nausea, shaking, or having cold sweats when you don’t have a drink. Can an alcoholic just stop drinking or cut back? Most alcoholics will try and cut back or stop drinking themselves, this however will normally only be temporarily and they will turn back to alcohol if something goes wrong in their life. The best alcohol treatment is a rehab centre. The people that normally can do it by themselves are the ones that tend to cope with problems more directly.